High quality classic #18 chisel blades, 100% Made in the USA with a 3/8 inch blade perfect for chiseling, shaving, cutting, trimming wood, plastic, rubber, wax and more with ultimate precision. 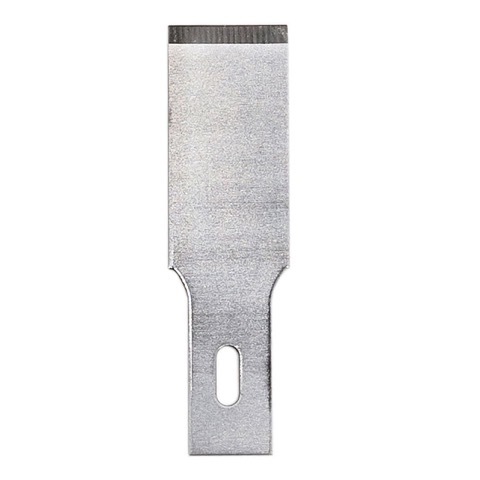 Versatile replacement blades fit with all standard medium to heavy duty craft knives including X-Acto brand knives. Perfect tool for heavy chiseling, and shapping a range of different materials with a super sharp blade that allows you to make a more skillful cut than your traditional chisel blade.